Last week I started posting with Kiddie Crafts. This week I’ll be starting up what I’ll call Kitchen Crafts. Can you tell I’m feeling guilty? Trying to spend more time with my kids and cooking for my family. 🙂 Anyway, I believe that there are two kinds of people in this world… cookers and bakers. I am a baker, so don’t expect much from my dinner recipes. Haha! For those, I will mostly be trying other people’s recipes and telling you how it went. Today though, lets start with what I know. 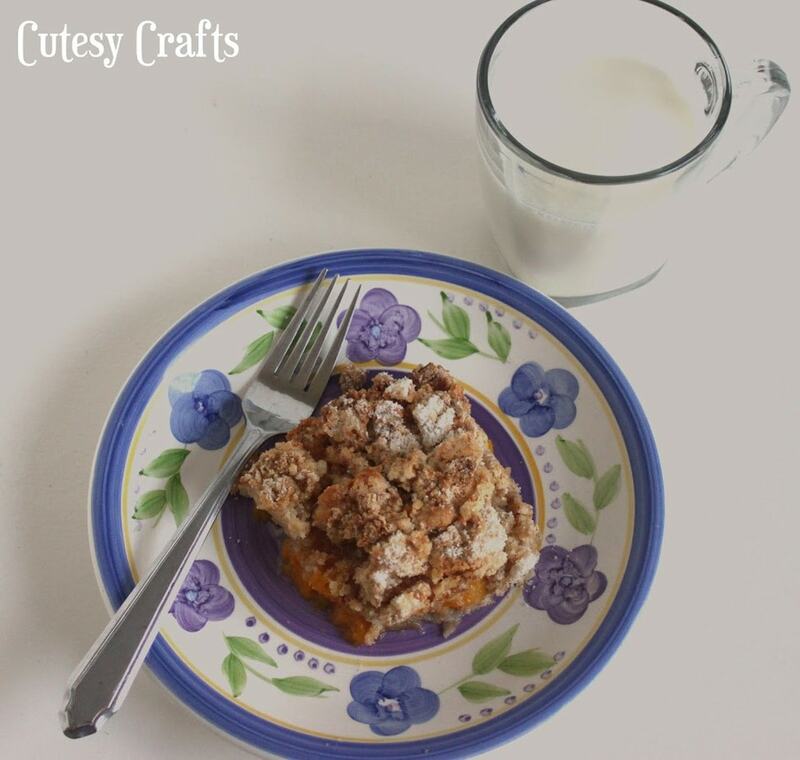 This is my absolute FAVORITE dessert recipe…Peach Crisp. 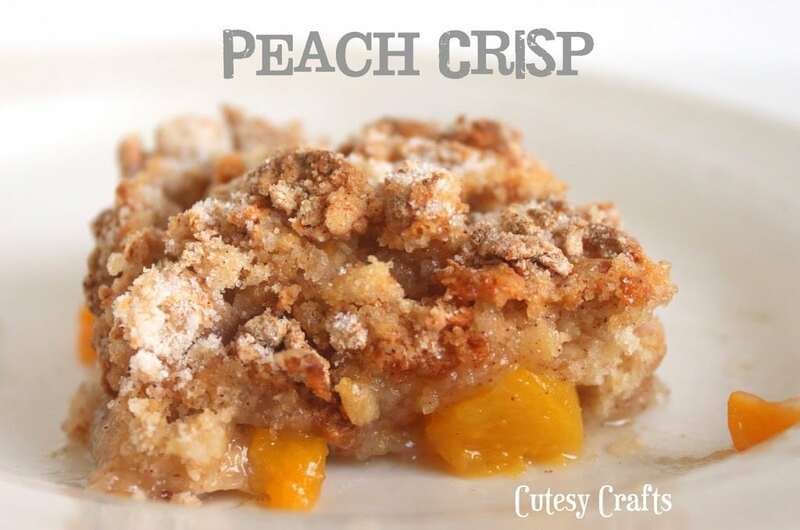 Normally I am not a big fan of fruit dessert, but this stuff is AMAZING and super easy to make! 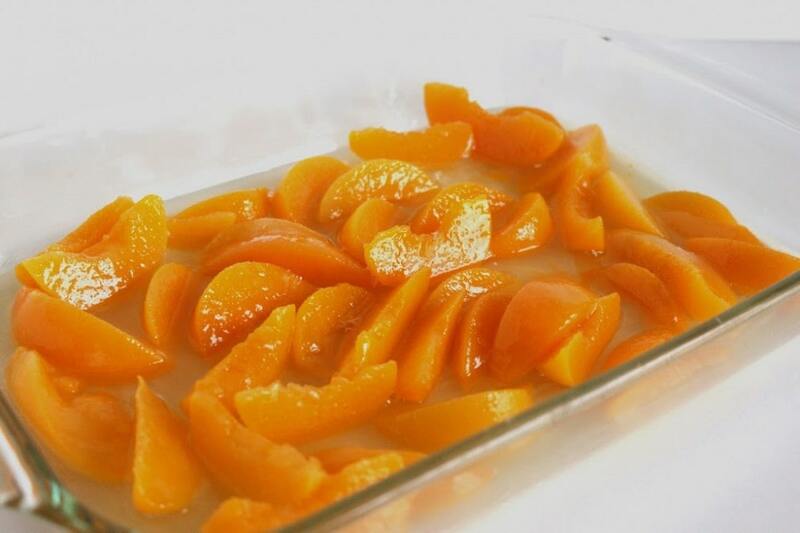 Drain peaches, saving 1/2 cup syrup and place fruit in buttered 9″ x 13″ baking dish. Stir in peach syrup and sprinkle on 2 tbsp of the sugar. Beat eggs and combine with Bisquick, remaining sugar, and cinnamon. Stir to a crumbly consistency. 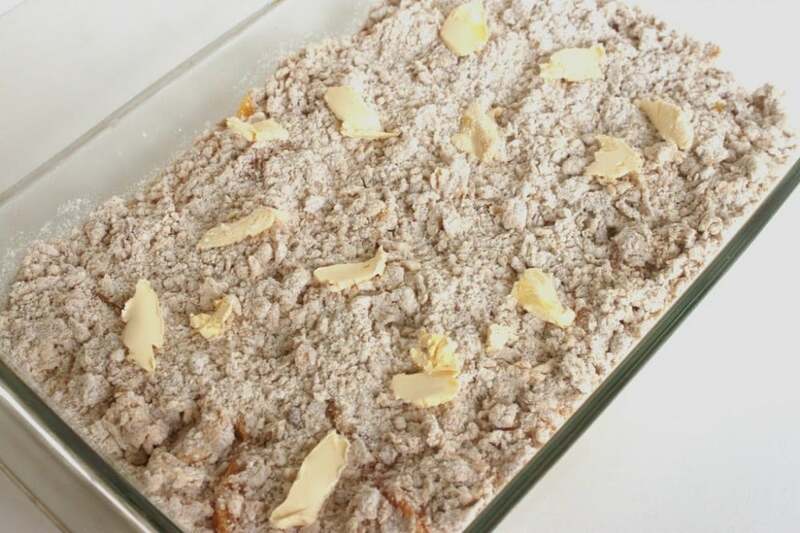 Sprinkle over fruit and dot with margarine or butter. 1. Drain peaches, saving 1/2 cup syrup. 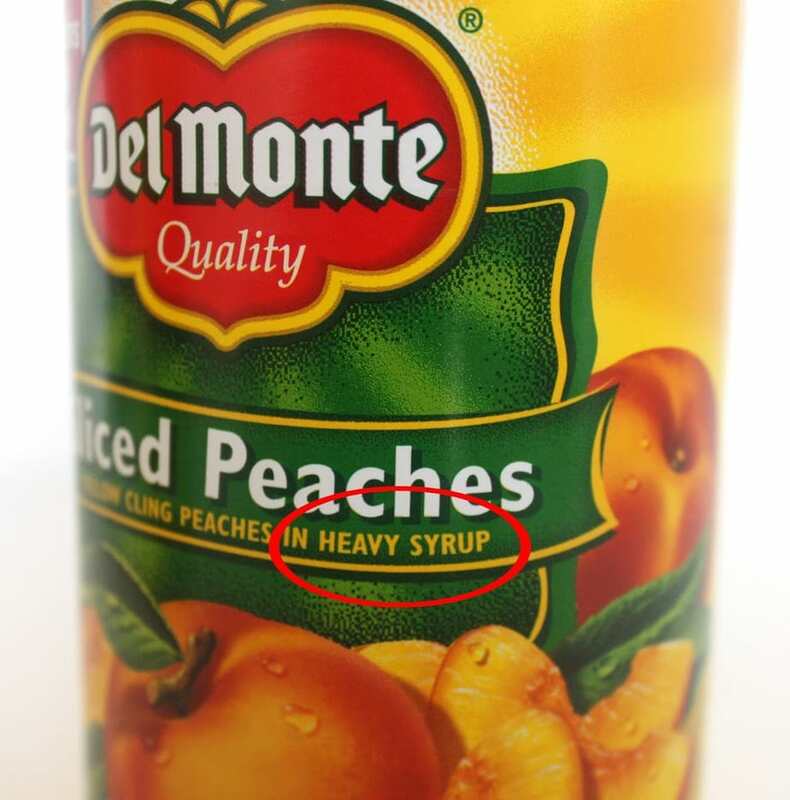 Make sure to get peaches in syrup. The last couple times I made it with peaches in juice. Didn’t taste nearly as good. 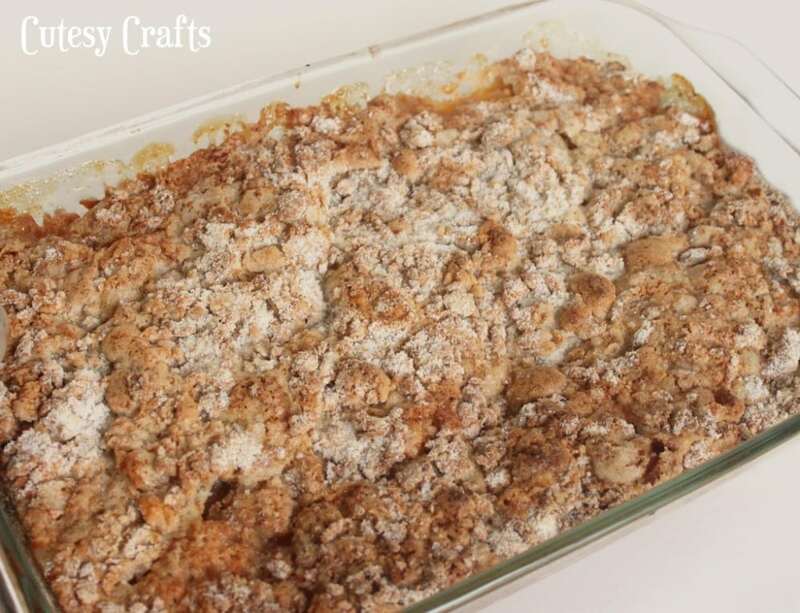 Place fruit in buttered 9″ x 13″ baking dish. Stir in peach syrup and sprinkle with 2 tbsp of the sugar. 2. Beat eggs and combine with Bisquick, remaining sugar, and cinnamon. 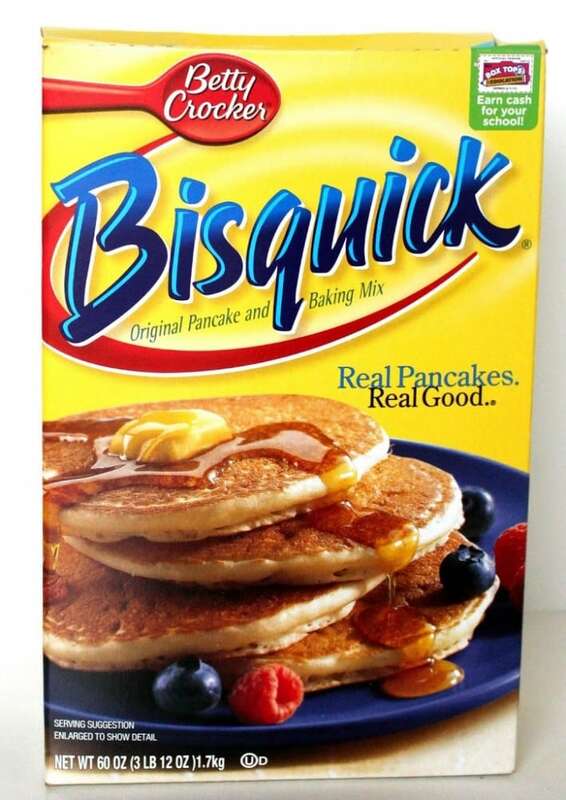 We always have some of this on hand to make pancakes. 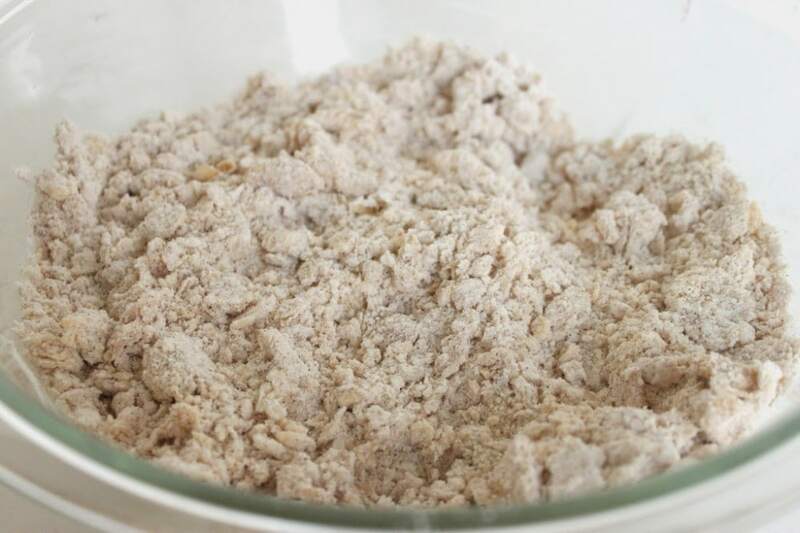 Stir to a crumbly consistency. Should look like this. Sprinkle over fruit and dot with margarine or butter. (Just put little pieces of butter all over the top.) It’s dessert… gotta have some butter! Thanks! It’s SO good!!! Hope you like it. Oh goodess this is making my mouth water!!! yum! That looks easy… even I could make that :o) Thanks for linking up to Tasteful Tuesdays! love it! 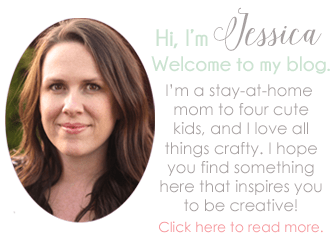 Really appreciate you stopping by my blog! I’m trying to keep in better touch with my linkers/readers… If you already follow me, please let me know I will find your blog on Bloglovin (I’m transferring my follows there)if you don’t follow in any way, would you consider following via GFC or other method?